Talent acquisition is becoming a unique profession, perhaps even distinct from the practice of general recruitment. The newly arrived technology cycle has brought new requirements which have rapidly changed the existing skills. Hence, today it has become difficult for most organizations across the globe to acquire new skills and talents and at the same time do the skilling and reskilling of the existing workforce. “This gap is due to the skill matrix that is becoming dynamic and we at Interview Mocha are bridging this gap by procuring skills in a crowd source model,” says Amit Mishra, Founder & CEO, Interview Mocha. “These skill tests are created by the global team of Subject Matter Experts at Interview Mocha that are valid and reliable to help recruiters recruit with confidence” he adds. 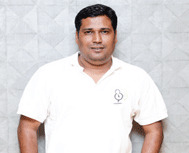 Interview Mocha was founded by Amit Mishra and Sujit Karpe in 2015 with a mission to provide companies with a perfect skill screening solution to hire fast and better. Interview Mocha is a complete online skill testing solution to make pre-hire screening quick and easy for the employers. The team builds quality skill tests and super easy assessment platform for hiring teams and candidates world-wide. Interview Mocha is the one of the most comprehensive skills assessment solutions for IT services brands, staffing solutions and Technology companies. and candidate ranking tools will help you streamline the selection process, ensuring faster decisions and best-fit. The question bank section of Interview Mocha assessment solution has various question types to help recruiters assess the candidates on multiple levels. It contains multiple choice questions, coding questions, Audio/Video questions, white board questions, objective questions and Collaboration feature of this platform facilitates the hiring team to communicate internally by sharing candidate reports and interview feedback which helps them in making better hiring decisions. When it comes to assessing coding skills, the real time coding skills of a job applicant can be measured with Interview Mocha’s pre-employment assessment tests and coding simulators. Also, the online assessment platform is reliable and secure. All the candidate details, test questions and internal communications within the platform are secured with the SSL protocol. "The skill tests are created by the global team of Subject Matter Experts at Interview Mocha that are valid and reliable to help recruiters recruit with confidence"
Interview Mocha has 1500 ready to use skills tests right now that includes 700 + IT skills. Secondly, the company has NextGen skills that comprise AI, ML, NLP, Big data and various mobile operating system skills. “We are currently among the top five Assessment companies around the world,” says Amit. Amit also plans to further increase the length and breadth of the skill library. He envisions building 5000+ skills for industries like IT, Financial Services, Healthcare, Business Processes etc. Furthermore, from the technology standpoint, Amit plans to embrace all the feasible improvements, which would help Interview Mocha’s clients to engage in a smooth recruitment process.